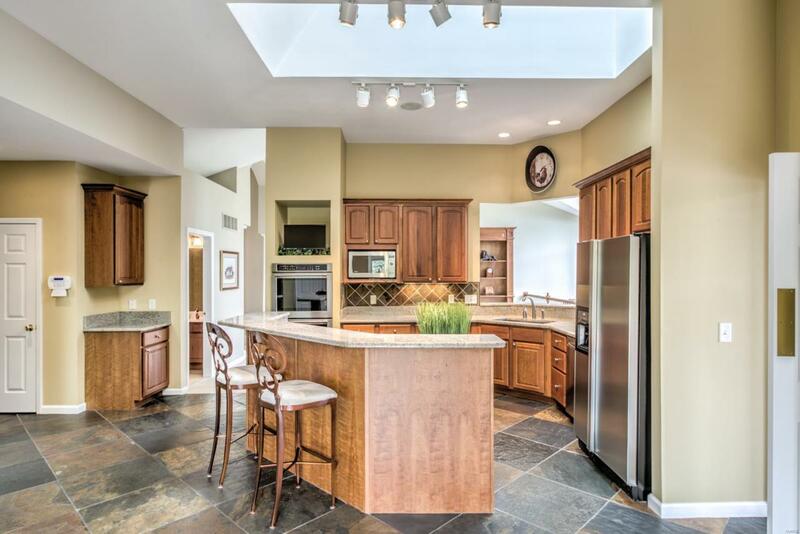 Gracious living abounds in this elegant atrium ranch perfect for entertaining! 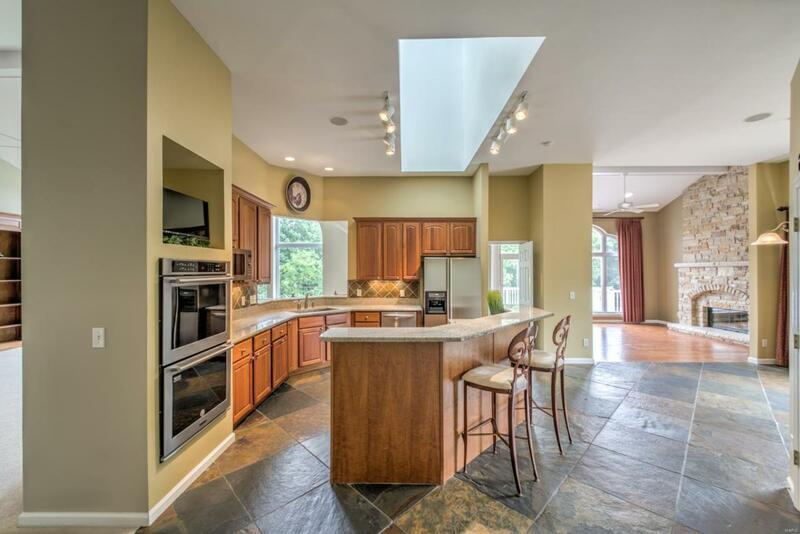 The Great Room boasts vaulted ceilings,gas FP,wet bar & window wall showcases park-like setting. 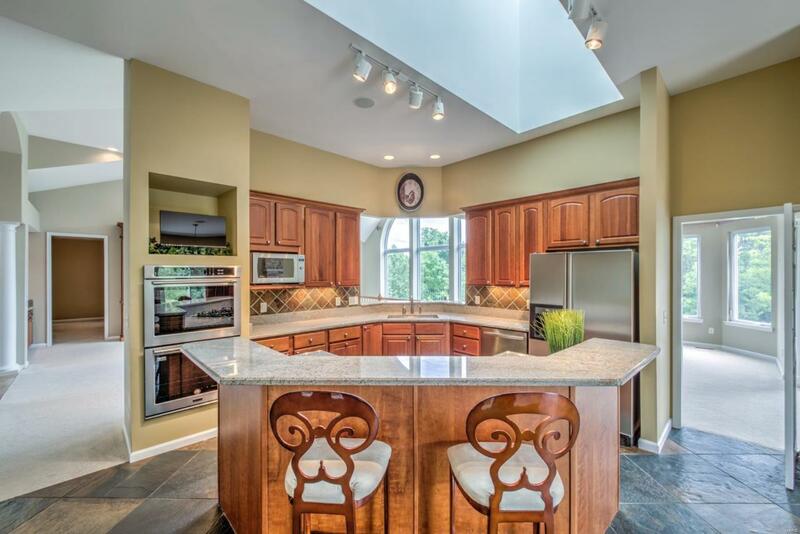 Gourmet Kitchen/Breakfast rm w/large center island,skylight,42 custom cabinetry, gas cooktop,double oven,walk-in pantry, desk, granite counters & SS appliances incl. fridge. 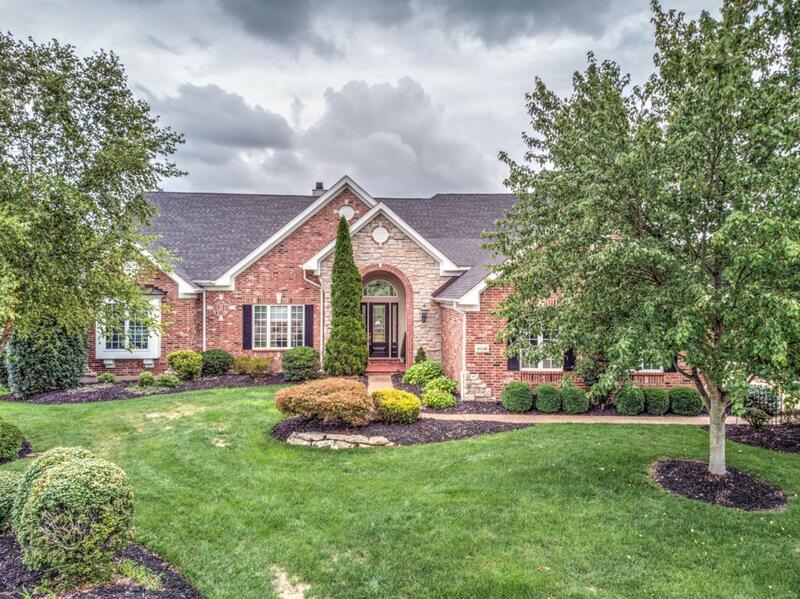 Adjacent vaulted hearth rm w/stone gas FP & gorgeous wood flooring.Elegant DR w/coffered ceiling & bay window Luxurious owners suite w/2 walk-in closets,Spa-like bath w/jetted tub, enormous shower & dual vanities.Office/den, 2nd bdrm, bath & laundry/mud rm w/W&D complete main floor. LL offers incredible home theater w/100 screen projector w/7.1 Surround Sound, multi-level seating, sprawling rec room w/3rd gas fireplace & bar area, 2 large bedrooms & full bath. Entertain outside w/incredible views from deck,Belgard stone patio,lower stamped concrete patio.Newer roof, sprklr system, ctrl vac, sec system, pet fence & more-your search is over!